The best aircraft in the world in its class in 1939 according to Morareau and Ledet in their book " Le Latécoère 298 ". First flown in May 1936, at the outbreak of the war, Laté 298s were operated by no fewer than seven escadrilles de Torpillage in the Aéronavale. 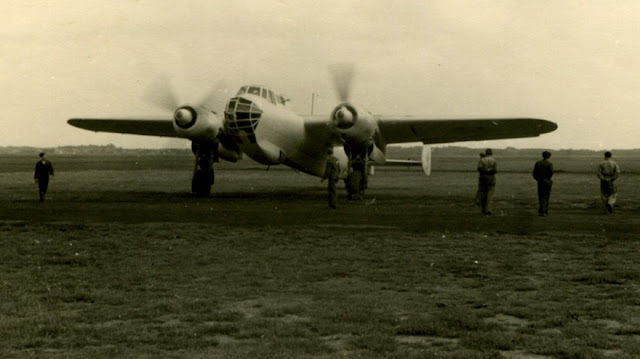 But the Latécoère 298 never launched a torpedo in anger, being largely deployed on missions for which it was hardly suited and for which its crews had not been trained - bombing and ground-strafing missions against German columns in northern France. The following account provides a rare glimpse (in English) of the reality of what happened to the Latécoère 298-equipped escadrilles (squadrons) of the French naval air arm in May 1940..
Having evacuated Boulogne on 21 May 1940 and come under fire from French anti-aircraft guns over Dieppe, the Latécoère 298s of escadrilles T2 and T3 had reached the relative safety of Cherbourg on the Cotentin Peninsula. On the morning of 23 May, led by their CO, Lt de vaisseau Marraud, six Laté 298s of escadrille T3 were airborne at 05h00 from Cherbourg tasked with bombing any German armour encountered in the vicinity of Boulogne ; the secondary target was the rail bridge over the shipping canal near Noyelles-sur-Mer. Marraud's T3.1 was hit by anti-aircraft fire south of Boulogne, succeeded in getting as far as Outreau before being hit again and having to carry out an emergency ditching off the Cap d’Alprecht, south of Boulogne (off Le Portel). Marraud and his crew escaped unhurt. Second-maitre Etienne in T3.2 had escorted the CO out to sea and ensured that his crew were picked up by the French torpedo boat Mistral. Crossing back over the coast in search of targets Etienne strafed anti-aircraft positions on the Samer-Montreuil road. He jettisoned his bombs before returning to Cherbourg, his munitions exhausted. Near Le Touquet, two more sections (2x2 aircraft) were also met by anti-aircraft fire but there were no German columns on the road. The aircraft jettisoned their bombs on the Noyelles bridge over the Somme - without hitting it - and returned to Cherbourg at 09h25. 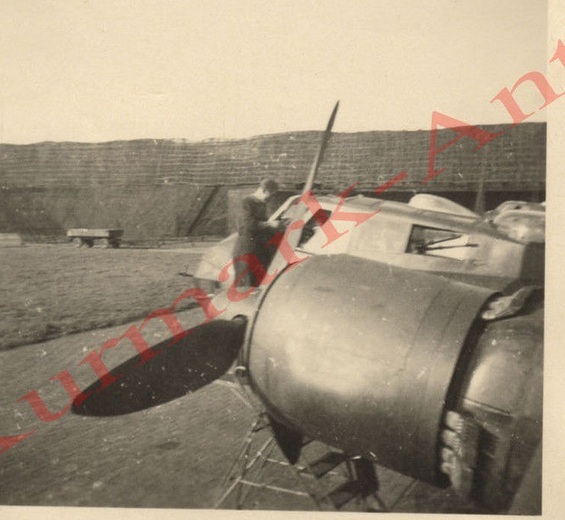 Two other Laté 298s were reportedly shot down by Messerschmitt Bf 109s. The Laté 298s of T2 paid a heavy price - Lv Lamiot carried out an emergency landing, engine ablaze, his gunner (Quartier-maître Paul) dead and his radio operator (Second-maître Thénaisie) badly injured. In the Laté flown by EV1 Huet, his gunner, SM Coucal was killed before the pilot ordered his radio operator to take to his chute; Huet put down at sea but the Me 109s strafed the aircraft injuring the pilot. T2-2 got back to Cherbourg QM Payol wounded while T2-4 was reported missing ; the crew (seconds-maitres Halgand and Le Pezron, both wounded and quartier-maître Tassel, who died of his injuries) were taken captive. At 12h15, four more Latés from Cherbourg attacked the Fort de la Crèche (a coastal battery outside Boulogne) : although the target was hit, information that the Fort had been occupied proved unfounded. There were no losses. Later that afternoon four Laté 298s of T2 carried out a strike on a rail bridge over the Abbeville canal at St Valéry sur Somme, which the Laté 298s of T3 had failed to hit that morning. The sortie was again a failure but all the aircraft returned. 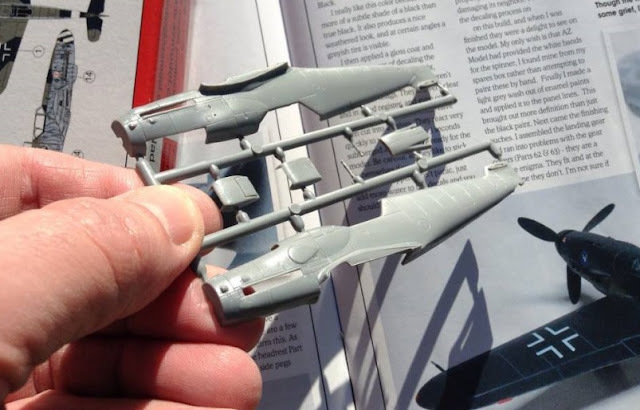 I was interested to read Patrick Mizgala's build review of the new AZ Bf 109 G-6/AS 'special markings' release over two pages in the current issue of Scale Aircraft Modeller International (SAM Publications). 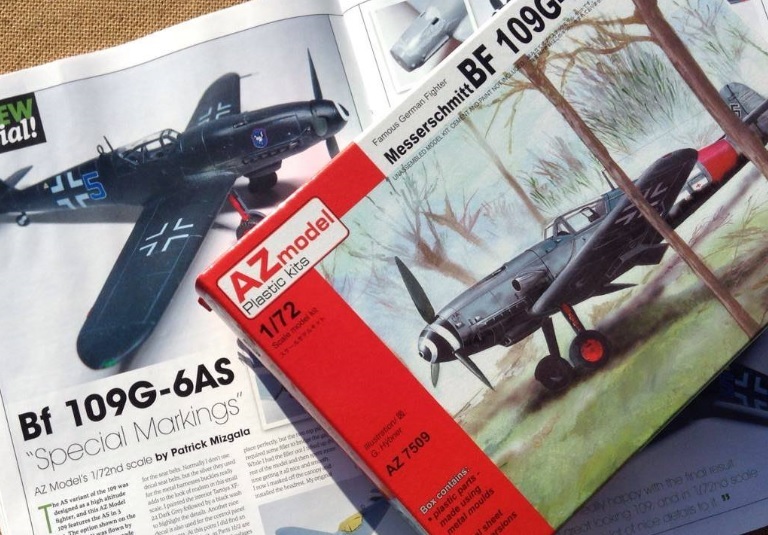 Now I quite like AZ Model's Bf 109 G-6 series - 'Model of the Year 2015' in the small scale category in the German 'Modellfan' magazine. Unfortunately Patrick missed a number of points concerning the subject aircraft in this release clearly explained elsewhere on this blog. Firstly, the G-6/AS variant featured a refined cowl, tall tail and enlarged supercharger. 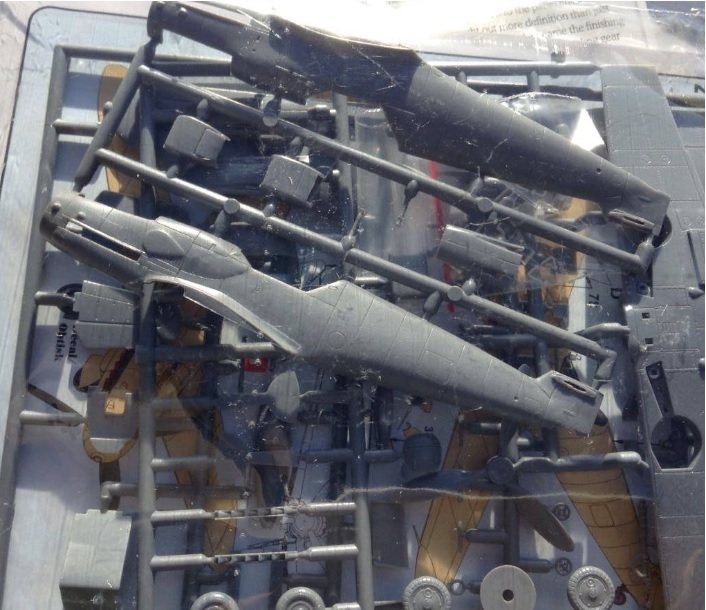 Hence the parts in the box are the same as those featured in AZ Model's Bf 109 G-10 boxes. However for a G-6/AS as depicted in this box the chin bulges will need to be sanded off. 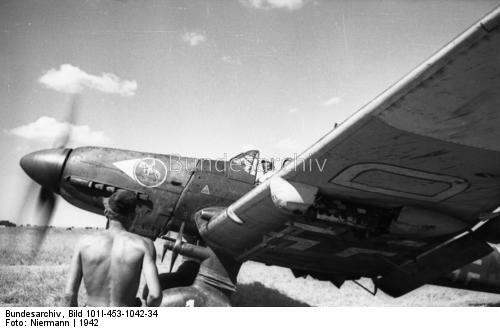 Mizgala referred on a number of occasions to the box top presentation of Bf 109 G-6/AS 'Red 2'; this is the 1./NJGr 10 Moskito hunter flown by Friedrich-Karl Müller during July-August 1944. Note the spelling of the name - written incorrectly all through his article. 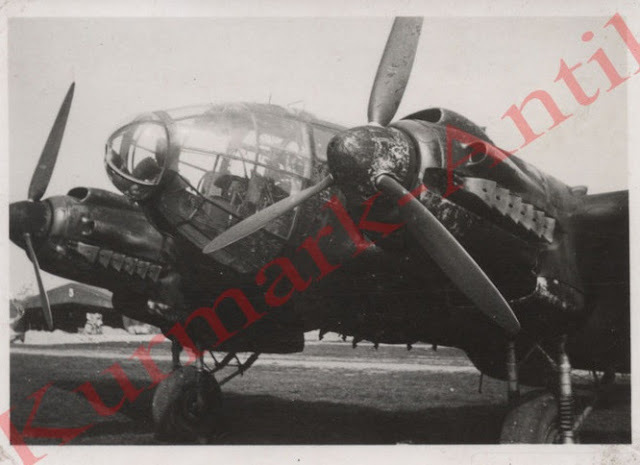 Apparently while doing his research Patrick discovered a picture on the internet that shows Müller's aircraft with no head armour. I'm assuming that this was the photo via Jean-Yves Lorant already posted on my blog - see link below. I published three pictures of Müller's 'Red 2' in SAM Publications own "Model Aircraft" in a 'wilde Sau und Moskito-Jagd' feature back in June and July 2014, exclusive to SAM - with some superb profile artwork by Anders Hjortsberg. The absence of head armour was a particular feature of Mosquito-chasing high performance Bf 109s. It was a shame that Mizgala appeared to be unaware of any of this. I'm assuming too that this is where AZ got their inspiration for the kit from! 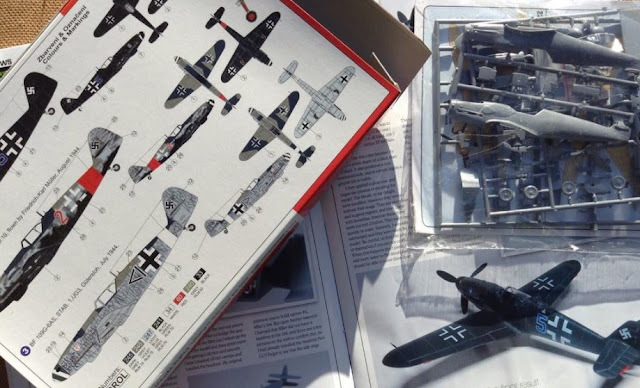 The all-black Bf 109 G-6/AS that Patrick did eventually build from the box (Dieterle's 'Green 5' of 2./Erg.JG 2) is also covered in-depth on this blog. Note that unfortunately AZ's research for this release has been particularly sloppy; wheel hubs were not red for a start and they have even got the colour of the Staffel number wrong on the decal sheet; it is blue in the kit and should of course have been green. One other point to note about the decal sheet - no spinner spirals. The modeller has to purchase those separately. I have to thank Czech modeller Jan Pavlik for sending me a sheet of these - they were out of stock at Hannants. Cheers mate! 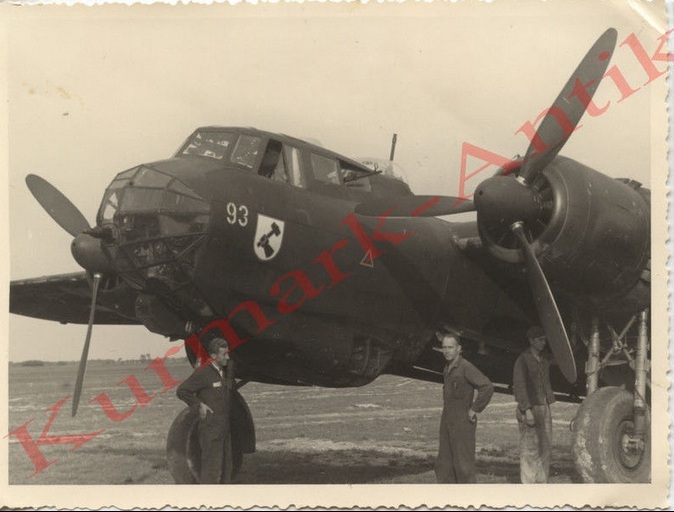 To conclude, a couple of links on this blog covering both the aircraft and the issues mentioned ..
Bf 109 G-6/AS 'Red 2', 1./NJGr 10 Moskito hunter flown by Friedrich-Karl Müller during July-August 1944 - pictures and artwork here. Above; Oblt. Hermann Westdickenberg at the controls of his G-6/R2 in Romania during 1944 as Staffelkapitän 2./NAG 14. Click on the photo for a full-screen view. Jean-Louis Roba text and photos via Westdickenberg exclusively for FalkeEins blog. 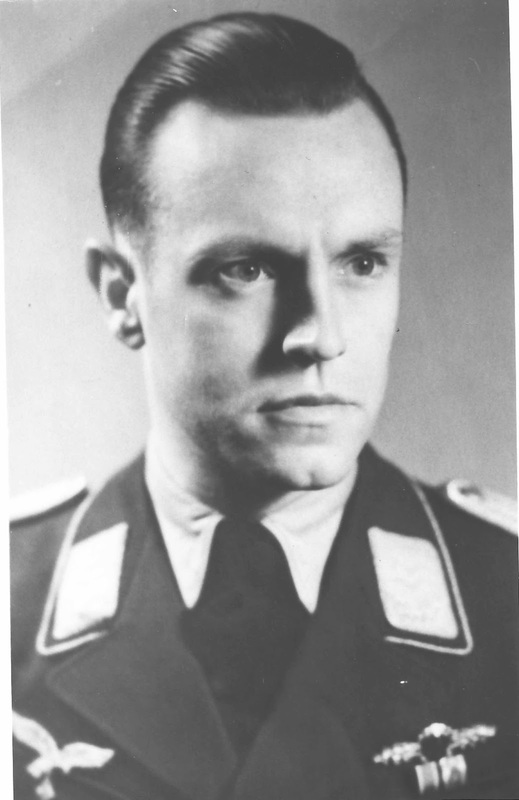 Born in Hamm in June 1917, Hermann Westdickenberg (studio portrait below) joined the Heer (army) in 1936 and participated in the Westfeldzug (campaign in the West) serving with 253 I.D in France. According to his own account his exploits in the field in France with his small advance recce troop were noteworthy - for example, first into Roubaix and into Lille, where he accepted the surrender of a large number of French troops south of the city. 253 I.D spent the winter of 1940-41 in France. 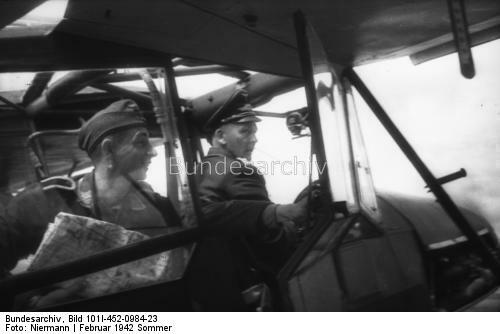 Westdickenberg flew sorties as a Heer observer - flying in Luftwaffe recce machines. He eventually took the opportunity to join the Luftwaffe in 1941. Later that year he was posted to Finland at Kemiaervi near the Russian border with 1. (H)/32, an observer in the Hs 126. Although not a pilot, his rank meant that he was in charge of the aircraft. During 1942 he commanded a detachment of three machines based in Petsamo, specialising in aerial photography and artillery spotting. In January 1943 he was recalled to Germany and trained as a pilot at Brieg and Jüterbog, before finally achieving the relevant Scheine qualifying him as a Bf 109 pilot, specialising in short-range reconnaissance. Subsequently posted to 2./ NAG 14, his unit moved to Romania in April 1944. 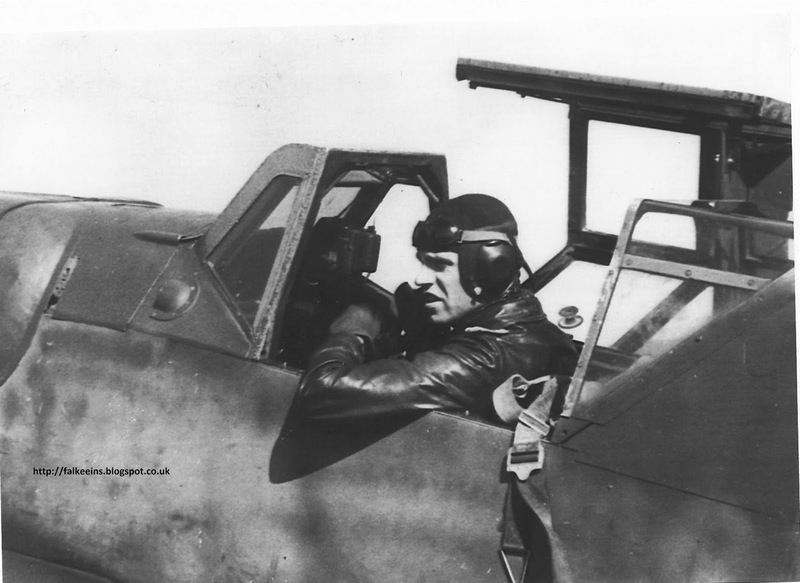 During the transfer Westdickenberg turned his Bf 109 over at Craiova and had to complete the journey to Bacau by train. 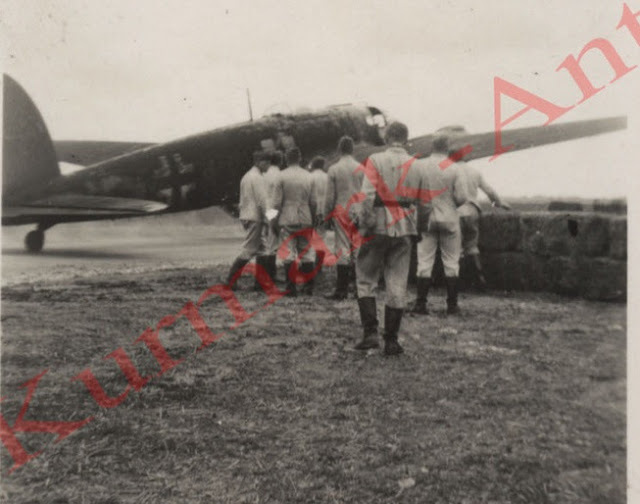 Tragedy soon struck - on his very first sortie from Bacau, the Staffelkapitän Hptm. Hans von Hollenleben (below) was killed in an accident. Oblt Westdickenberg was immediately named as von Hollenleben's successor. By and large though the first few months at Bacau were relatively pleasant for the men of 2./ NAG 14 - there was little activity in the sector aside from Russian preparations for a large offensive. Everything was to change from mid-August with the subsequent opening of the Soviet offensive in the region of Jassy. Romanian resistance collapsed and Soviet superiority was overwhelming. Flying in Rotten the pilots of NAG 14 were forced to join combat - claiming a number of victories - as well as performing recce missions, such was the numerical superiority of the Soviets. 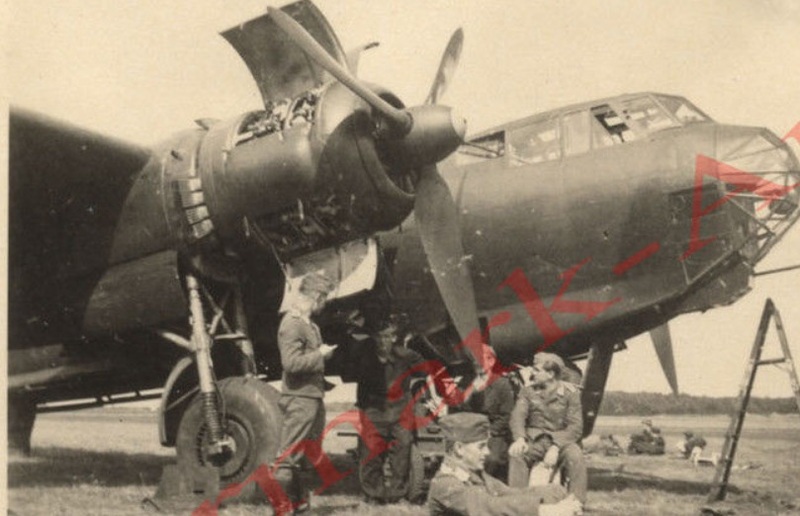 A recce Staffel such as 2./NAG 14 was an autonomous unit with a strength of sixteen aircraft and up to 270 personnel. Westdickenberg had soon made arrangements for his men and aircraft to fall back to Hungary, a decision which led to disagreement with his hierarchy. However given that the unit was still relatively intact there were no additional complications. However in December 1944 he fell ill while his Staffel suffered losses in the vicinity of Budapest. Large numbers of sorties were flown as the Russians encircled the city. 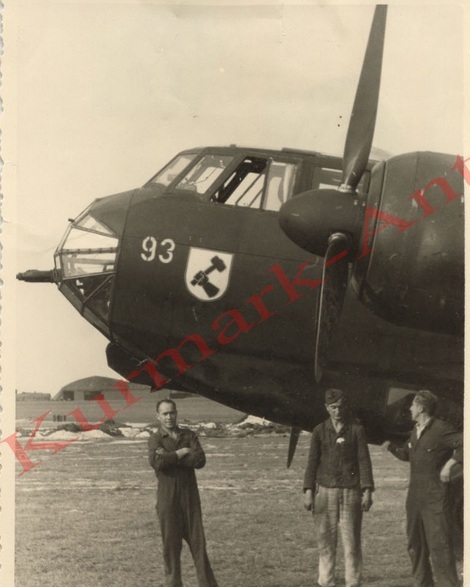 Returning to the front Westdickenberg assumed command of 1./ NAG 14 and ended the war flying missions over Czech territory - on 8 May 1945 1./ NAG 14 was still flying at Budweiss. Although surrendering to the Americans Westdickenberg and his men were handed over to the Russians to endure several years of captivity. Westdickenberg returned to Germany in 1949. A resourceful and competent leader, he enjoyed a successful postwar career in business. 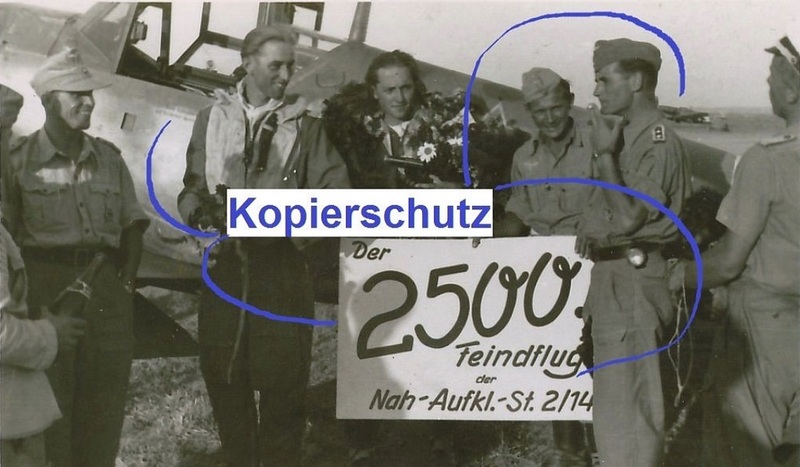 Celebrating the 2,500th sortie of Nah-Aufklärungs-Staffel 2/14 at Bacau, Romania during the summer of 1944. Westdickenberg is second left (hands in pockets). The Germans have a reputation for being orderly and efficient in everything they do. In reality they were/are probably very far from this idealised image. (2015's VW scandal and Merkel's recent decision making in the current European migrant crisis are good and very recent examples of this 'indiscipline' !) This is especially true of flight training and attitudes to flying in the war-time Luftwaffe. Although the Germans started the war with a cadre of well-trained, even experienced pilots, training was to become " the Luftwaffe's greatest failure.." (James S. Corum in 'Why Air Forces fail' p219) In general terms it is probably true to say that the majority of Luftwaffe pilots were technically rather poorer than their counterparts in other air forces, certainly in comparison with USAF, RAF and even Soviet pilots the longer the war continued. As the war progressed the large disparity in training time between Allied and German schools grew - Corum goes so far to state that by 1944 ..." replacement pilots in the Luftwaffe were so poorly trained they did not need Allied fighters to bring them down in large numbers.. " ('Why Air Forces Fail' p221). Inexperienced or poorly trained pilots could not cope with engine failures, rough field takeoffs or landings, bad weather or heavy cloud cover.. The problem with pilot training in the Luftwaffe from the outset was linked to that of culture and discipline. Two studies look at aspects of indiscipline in flight training and pilot culture in the wartime Luftwaffe. Ernst Stilla's PhD doctoral thesis on the "Luftwaffe in the battle for air supremacy over Europe" looks at the factors in the defeat of the Luftwaffe in the defensive battles in the West and over Germany, with particular consideration given to research and production, technical development and " human factors", such as pilot training. Elsewhere US academic Roger Bohn's study 'Not flying by the book' looks at the adoption of better flying methods and procedures, especially check-lists during WWII and post-war up to the adoption of the Standard Flying Procedure system and is a very useful read for non-linguists as it exploits parts of Stilla's dissertation. The 'human factor' in flying is of course an important cause in accidents - the wartime Luftwaffe lost literally thousands of aircraft through non-combat causes. In February 1944 alone over one thousand Luftwaffe aircraft were lost in accidents, a good proportion of which were " considered due to inadequate training.." (Boog quoted in Isby 'The decisive duel' p361).. Faced with the development of increasingly more complex aircraft during WW II and the training of huge numbers of new pilots to fly them, some air forces recognised that standardised procedures and check-lists had to be drawn-up to maintain and increase military effectiveness. Few air forces though did this. The Luftwaffe certainly did not, and the 'culture' of this organisation simply would not have allowed it - quite the opposite. Accidents and surviving them were almost a badge of honour for the pilots. 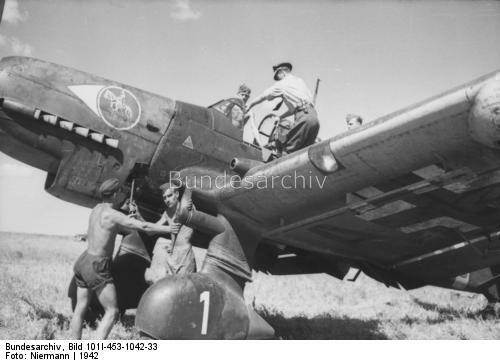 This had little to do with the intensity of the war in the air - Werner Mölders noted as early as 1935 in his diary that there were very many accidents due to lack of discipline, and Galland's biographers noted that accidents among the 'macho' German fighter jocks were a daily occurrence in 1938.
" ...its spindly narrow-track undercarriage is actually much too weak to cope with the enormous torque, rate of yaw, and turbulence of the airscrew. Take-off accidents are therefore commonplace, not just in the training schools, but also among front-line units... And once in the air the pilot still has his hands more than full: the undercarriage must be retracted...before a certain airspeed is reached, engine and propeller have to be set manually to cruise, the flaps cranked up by a large hand-wheel....and the now tail-heavy bird....trimmed for level flight..... [A few moments later].... frantically carrying out in reverse order everything that they had somehow successfully managed to do at take-off. It is advisable under such circumstances not to mix up, let alone forget, any of the actions described above, for the Messerschmitt is no docile carthorse, but a highly-strung thoroughbred. If the propeller pitch is not reduced in time, any attempt to go round again will end in a crash beyond the airfield perimeter. If the undercarriage has not been lowered, because the pilot has never before needed to lower an undercarriage in his life, he'll at least get down on the field, but in a resounding belly-landing .... But even then the Messerschmitt still has a few more tricks up its sleeve. If the stick is not held firmly back after touchdown, or if the pilot tramps a little too heavily on the brakes, a somersault is almost inevitable...."
It is striking to note that high accident rates in the Luftwaffe were mostly not the result of combat. In his study Ernst Stilla (see below) quotes Milch who - in early 1943 - complained to the leadership about 'declining aviation discipline' and highlighted loss rates during transfer (long-distance change of base) flights, which had risen to some 20% damaged or destroyed (during the period May-September 1942). In comparison overall American losses during transport flights from the US across the Atlantic Ocean in September 1944 - a journey of several thousand kilometres - were just six aircraft out some 1,200! 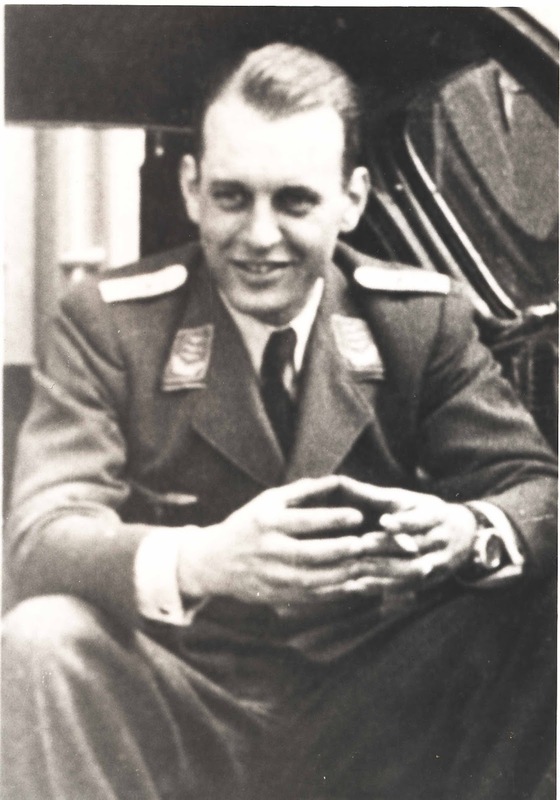 In retrospect, the situation cried out for checklists and standardised procedures but Luftwaffe commanders saw little or no use for such developments - one Luftwaffe General, Walther Wever, had famously died in 1936 piloting his own aircraft, having forgotten to remove the external gust locks. The Wever crash was the putative spur to the USAF’s invention of aviation checklists. But this crucial aspect in the management of technological change in aviation was entirely neglected by the Luftwaffe. The 'technology' was not even "classified" and could have been copied easily. In the US, 'Life' Magazine ran an article on the B-17 checklist in 1942, and by the mid-war years American aircraft shot down over Germany carried checklists in various formats.
" ..he did not realise the need for instrument training for single-engine day fighter pilots until it was too late. His attitude was typical of the macho prewar fighter jock. Fight over the Reich? Against planes that fly in clouds? What nonsense! " “..very frequently fighting took place over long distances above cloud cover, and the completely disoriented fighters had to go below the deck and attempt to land wherever they could. Together with insufficient navigational aids, this resulted in many additional losses and a wide scattering of our aircraft. " By late 1943 the Luftwaffe had lost most of its original complement of pilots. In the first six months of 1943, Germany lost 1,100 fighter pilots, which was about 60% of the number at the start of the year. It lost another 15 percent in each of July and August. It is interesting to note that of the 100+ Luftwaffe 'aces' credited with over 100 victories during WW II only eight of them started their flying career after 1942. The high pilot losses had two disastrous effects. First, even if they had been well trained, newer pilots were inexperienced and inevitably sustained more accidents and combat casualties than the pilots they replaced. Aside from the fact that the Luftwaffe's leadership expected every campaign to be a short one and for many of them stripped training schools of experienced instructors, pilot training programmes in the Luftwaffe were heavily curtailed. Already in early 1944, the Luftwaffe fighter pilot training was shortened to an average of 160 flight hours. A few weeks later, it was further shortened to only 112 hours. Finally, in the spring of 1944, the B flight schools were disbanded, and the pilots were sent into first-line service directly after A schools. The condition for the A2 flight certificate included a basic training of sixty training flights with a total of 15 flight hours. Meanwhile, the average USAAF or RAF fighter pilot's training consisted of 225 flight hours. German survival rates correspondingly reached a nadir. During the first five months of 1944 Luftwaffe fighter units underwent a complete turnover of pilots so that the German achievements in production during 1944 were entirely hollow. As Bob Goebel pointed out in his memoir 'Mustang Ace', all fighter pilots - certainly all US P-51 pilots - could probably fly well. 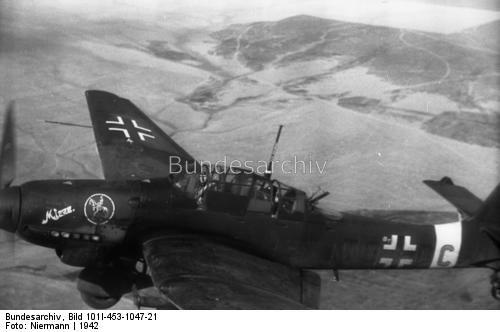 But while only relatively few could shoot well, in the Luftwaffe, Nachwuchs or new growth pilots-at the controls of their high-powered and heavily armed Bf 109s-could do neither. In his two volume history of the leading Luftwaffe Defence of the Reich fighter Geschwader JG 300, Jean-Yves Lorant noted that " ..the average life expectancy of a JG 300 pilot for the last year of the war amounted to just 11 hours of flying - barely four sorties..including check and ferry flights.." So while there was almost no fuel for training, there were plenty of aircraft, so the Luftwaffe kept sending pilots up to be slaughtered. Bohn argues that better training procedures could have prevented many deaths and at the very least would have facilitated the rapid training of large numbers of new pilots. In the end, improvisation and then desperation dominated. The ideological image of the fanatical fighter - which led to the creation of 'specialist' ramming units - had increasingly overtaken professional capabilities and skills. Little thought was given to the pilots' lives. With the post-war establishment of the Bundesluftwaffe ,German vets were sceptical and ambivalent towards American training procedures, once again highlighting the war-time Luftwaffe's indifference to training and accidents; despite good language training, the German pilots had difficulty adapting to American training procedures - learning by rote, repetition, and precise implementation of standard check lists. This was in stark contrast to the experiences of the German veterans. The longer the war had lasted,the shorter and less professional the German pilot training had become. Shortages of fuel due to bombing and Soviet recapture of oil fields also forced reductions in flight training hours with dramatic consequences. Günther Rall gives a balanced evaluation, writing many years after his retraining.Here is his colourful comparison of checklists with Catholic religious rituals.
" ...Then, on 19 Sept 1956, I am at last once again strapped into a proper aircraft: a North American T-6.... And on my knees, for the first time in my flying career, I have a check-list. On this the Americans have set down, step by step, every action that has to be taken to get the T-6 into the air and then back down again. The list is arranged in handy sections and anyone who doesn't carry out all the moves and checks in exactly the right sequence is automatically flunked, despite the fact that he might be a hundred times more efficient by doing things in his own individual way. Procedures and checks do for US pilot training what the rosary and litany do for the devout Catholic -- more in fact: if employed with sufficient ardor, both will get you into heaven, but only the former will return you to earth afterwards. It takes some little while before I learn to appreciate the benefits of this system that at first sight seems so rigid and stupid. Anyone who knows his procedures and has the acronyms in his head to call them up, can hardly go wrong even in the most difficult situations..."
James S. Corum in " Why Air Forces Fail - The defeat of the Luftwaffe 1935-45 "
There are many Luftwaffe pages on Facebook. For authors and publishers it can be a good forum for publicising your work. Elsewhere Facebook 'Groups' host a number of 'well-known' posters and self-appointed experts - and other enthusiasts- presenting all sorts of material and commenting. Sounds good right? However there are some big down-sides to FB's Luftwaffe pages ..
As one enthusiast put it when faced with a poster seeking details of the Bf 109 K-14s delivered to JG 52 and whose reference library appeared to comprise one solitary Squadron Signal monograph ; ".. there are certain places and mediums to have serious discussions on aviation history and certain places where it is futile to attempt such a task..." Or as another said; "..sorry, I prefer to be stupid on the 12 o'Clock High forum than brilliant on Facebook..". 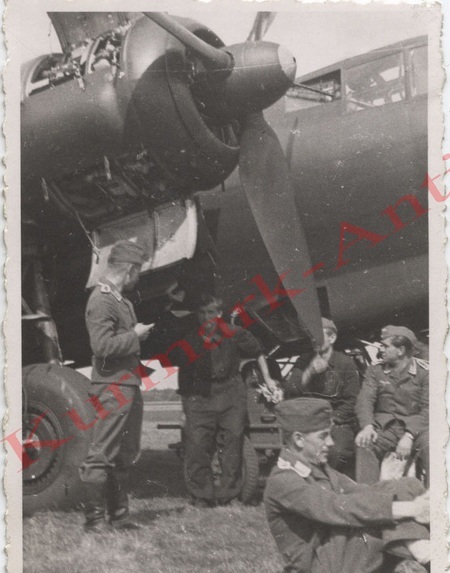 Too many posters and too many fantasists who spend every day putting on line out-of-date artworks, pictures of Erich Hartmann, entire pages of Luftwaffe im Focus, a whole book of Sundin profile artworks, not to mention all the rare pictures from the two volume JG 300 history.. It's spelled 'moron' - tw*ts! By the way guys, referencing assisbiz.com constantly, as you do, does nothing for your reputation among serious Luftwaffe enthusiasts and authors. Of course some FB 'groups' insist on a 'source' - as if that information gives them any right to just take and repost material! The ease with which FB 'works' appears to be part of the 'problem'. Browsing the various Groups can be much quicker and faster than wading through a forum - as any FB user will know you get updates -or "notifications"- the moment your 'friends' post. Some of these FB groups may quickly rival 'traditional' internet forums over-seen by ever-present and occasionally over-bearing moderators ( and I don't mean you Nick!) with their all-too legitimate concerns about copyright, defamation etc etc. That's just one of the down sides. Other characters like the guy involved with the IL2 board hosted by Asisbiz.com also haunt FB. Apparently he has created one of the biggest Luftwaffe sites on the web. Amazing. He never seems to post any images of his own and certainly doesn't appear to have done any original research or writing. And at one point they were quite happy to take $20 from you for the dubious privilege of being able to access copyrighted works. Frankly I prefer not to bump into Acred and those FB group posters who 'encourage' him and his ilk if I can help it. Read here some of the exchanges I had with him after he helped himself to some of the original images posted on this blog. I doubt very much whether illustrators, writers, researchers and collectors, even institutions, want to see all "their" material posted on FB. Many of them though I doubt are even aware of the extent of the copyright theft problem on FB. Among the wider uninformed FB-user public the school of thought though seems to be that WW II images, even artworks based on such images are essentially public domain and if posted for discussion and education, count as "fair use" when it comes to copyright - the laws of which vary just about everywhere and which, especially in the US appear quite liberal..
As you can see I recently tested FB's own reporting system - the person behind the 'Messerschmitt Fighters' group page that had posted a number of pictures from Jean-Yves Lorant's JG 300 history. We were pleasantly surprised to see a rapid response from Facebook and access to specific copyright material that I complained about was quickly blocked. As the complainant the material you report has to be your copyright or else you must be what FB refers to as the 'copyright holder's representative' - and you have to be able to demonstrate that. Simply reporting that a FB page has posted over 150 of Sundin's profile artworks - another FB page - won't necessarily result in FB taking any action. If you can't afford a £50 book, that is your problem and not something I'm going to feel guilty about. Posting images from such sources constantly will have an impact on the production of new works. So it is hardly surprising that - as one FB group moderator recently opined - some people "...are only joining the group to check copyright violations.." Given that there are so many of them they are perfectly entitled to so do I say ! Most enthusiasts - and certainly not David Weiss - wouldn't dream of spending 1,000 euros on a set of images, would they ? 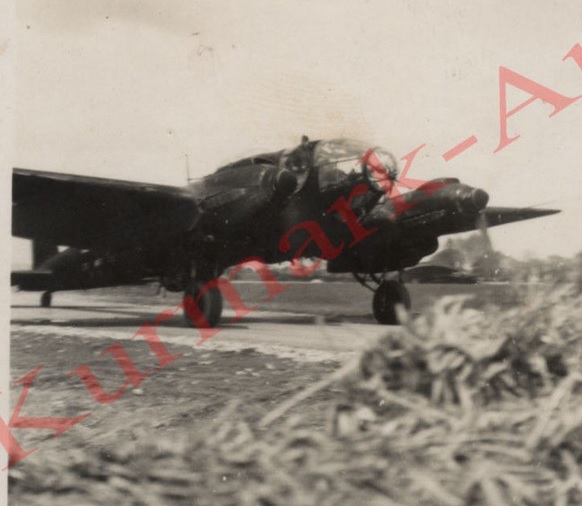 Ju 87 D-3 of II./St. 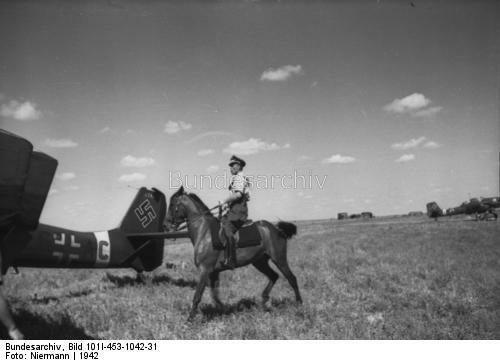 G 2 on a Feldflugplatz (field strip) - pilot preparing for a sortie somewhere in Russia - Kennung may be T6+AD. Note the white chevron in front of the emblem, the significance of which is not entirely clear - see the letters page in Aérojournal No. 5 Feb-Mar 1999. 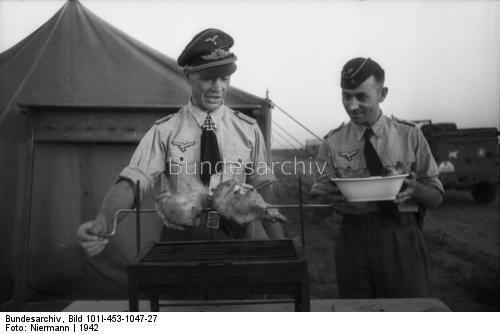 Kommandeur II./ St.G 2 from April 1942 was Ernst Kupfer seen preparing the spit roast below.. The new Lela Presse catalogue for 2016 just dropped through the letter box. 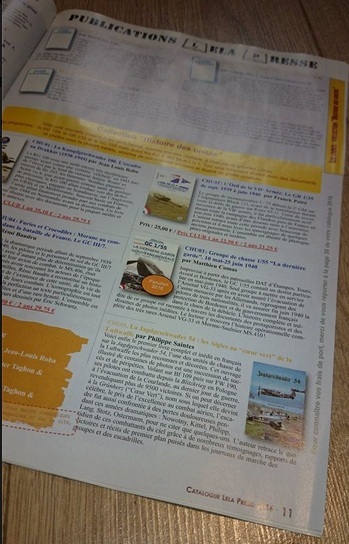 There are lots of new titles in preparation and due to appear in 2016 especially in the 'units' series from Jean-Louis Roba ( 2 volumes on Lehrgeschwader 1) and a new book on JG 54 from Philippe Saintes, not to mention titles on the Junkers Ju 52 (due in April 2016), the Focke Wulf Fw 200 and Philippe Couderchon's long-awaited hardback on French Fw 190s entitled 'From the Fw 190 to the NC 900'. The second volume from Philippe Ricco on Beute French types in German colours (" Les Avions Français aux couleurs allemandes" ) is also due soon. Read Tom's review of Volume 1 on his blog here. Also still available via the Lela Presse website is Jean-Louis Roba's superlatively illustrated (French-language) history of Kampfgeschwader 100 which we looked at on this blog here. "....Our crew was sent to Oberpfaffenhofen to convert onto the new Do 217. 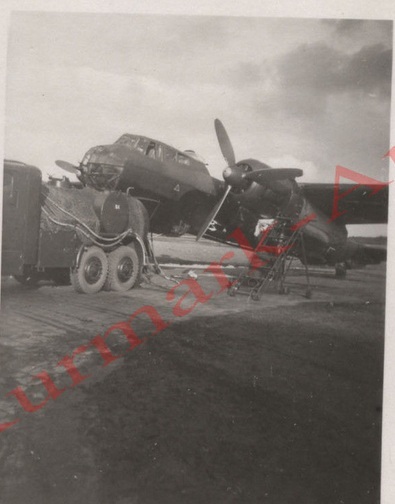 We had lodgings in the Hotel Fleischmann and in houses around the airfield nearby in Steinebach. 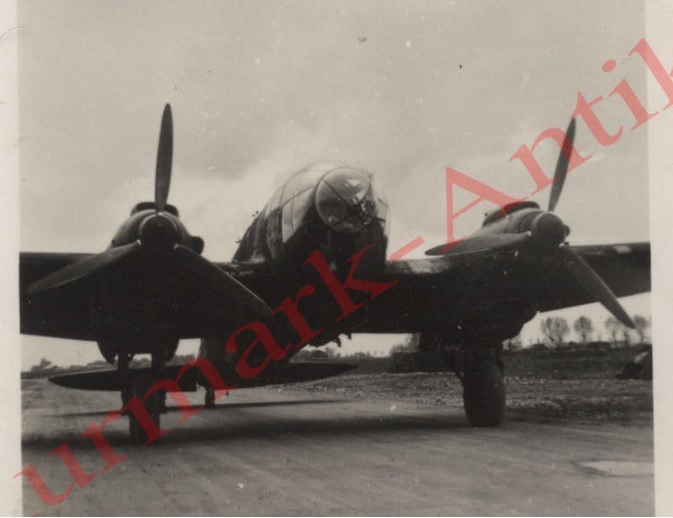 This new machine was considerably heavier and faster than our good old Do 17 Z and had been conceived as a 'universal' multi-role bomber, capable of horizontal and dive-bombing, as well as of performing mine-laying and torpedo-launching against shipping targets..Take off weight was some 16.5 tonnes and the aircraft could comfortably attain speeds of 460 kph. These were figures to inspire and be proud of. Above all the extra turn of speed would considerably increase our chances of survival (sic) when coming up against enemy fighters. However these were purely theoretical considerations. 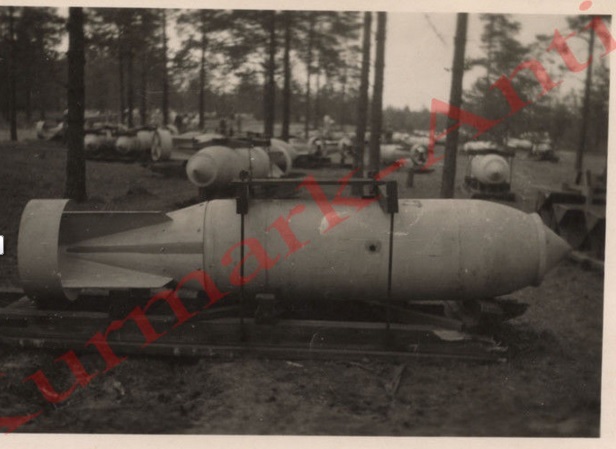 Laden with a full complement of defensive armament and a full bomb load, we could only manage 380 kph - the increased bomb carrying capacity was obviously the prime factor in the eyes of our hierarchy. The twin BMW 801 radials could go like the clappers and it was pure pleasure to push the throttles all the way forward and climb out steeply - all 16.5 tons- but the engines were largely untested in action. As we were to find out, in terms of increasing our survivibility, the Do 217 ultimately represented no progress at all.. 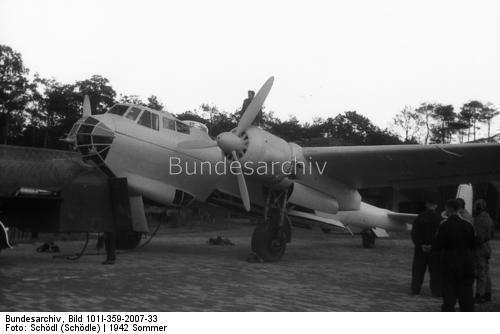 The Do 217 had been developed under great secrecy and even now was still classed as Geheimhaltungstufe 1 - top secret. 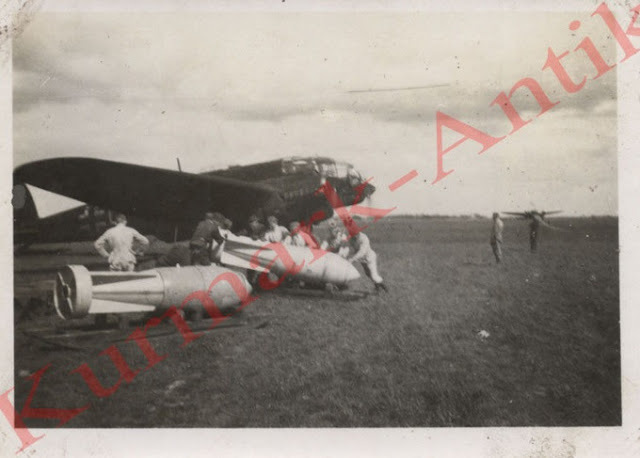 Even so a delegation of Soviet airmen was allowed to visit us during April 1941 and inspect our 'wonder bird' - they were mightily impressed. During our training our StaKa Oblt. Genzow was awarded the Ritterkreuz, which was naturally an event of some importance in the little town in upper Bavaria where we were stationed. There was a large parade through the town with flags and bunting, a march past of Hitler Youth in front of the entire population and Party officals. Meanwhile our training continued. On rest days we spent our time sunbathing on the banks of the nearby Lake Woerth. 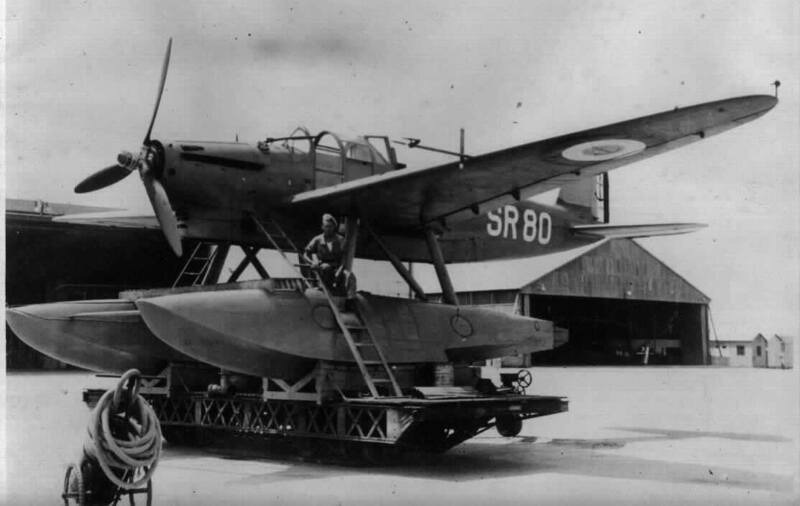 Swimming and sailing were popular activities - rubber dinghies were carried in the fuselages of our Do 217s and inflated automatically when jettisoned overboard. Now they were put to good use on the water - even when relaxing we were training for worst case scenarios..."
Translated by this blog author from Ulf Balke's "Der Luftkrieg in Europa - Teil 1", (Bernard, Graefe, 1989 ) with permission. Below; Do 217 E-1 of KG 40 in an overall pale blue-grey camouflage scheme with low-viz markings.